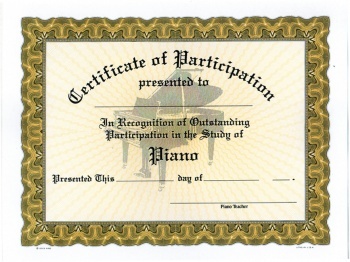 Recognize your students for outstanding achievement and/or participation with our 8 1/2 x 11" richly decorated certificates. Along with the recognized fields of study, we offer generic certificates that can be adapted to suit any need. Package of 10. Parchtone Deluxe Stock. Use the Presentation Folder item 900001 for a prestigious effect!